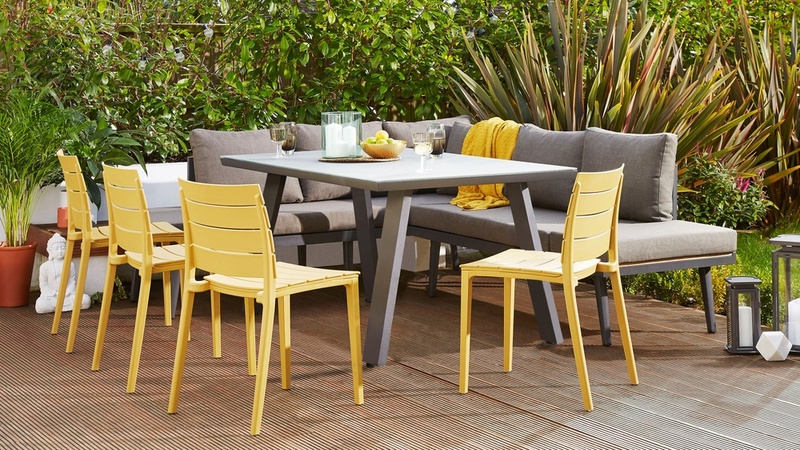 Create your dream garden setting with the Fresco Table, Palermo Right Hand Bench and Edie Garden Chair dining set. 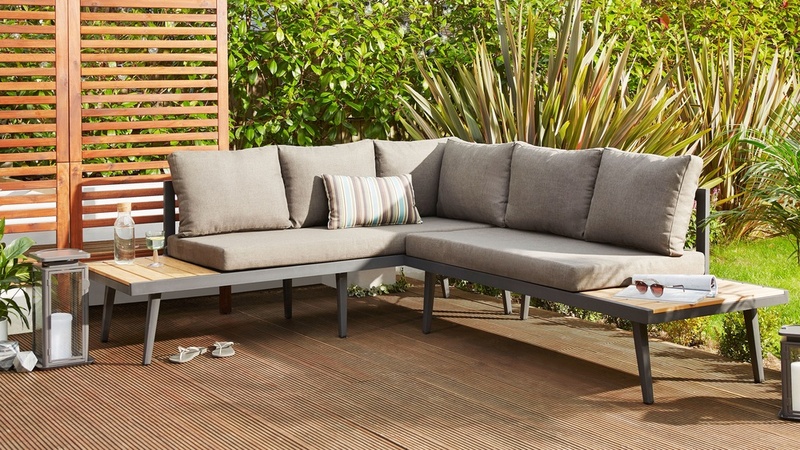 This contemporary outdoor set combines a cosy corner bench with practical plastic garden chairs to make sure there's room for everyone to enjoy the sunshine. 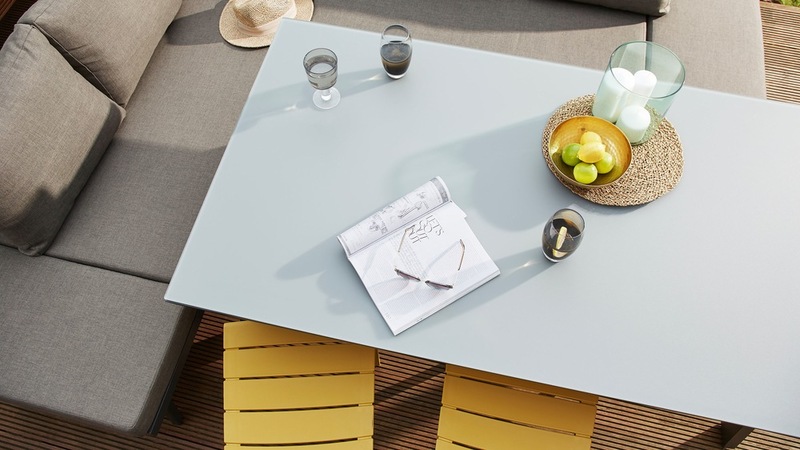 The pedestal base of the Palermo keeps the look open and inviting, while the durable glass, aluminium and showerproof finishes make this set suitable for outdoor use. 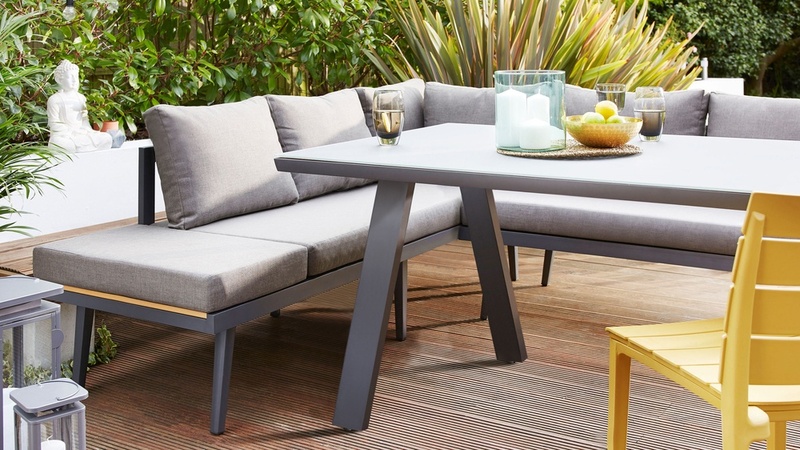 The Fresco 6 seater grey garden table is a great match with both garden chairs and outdoor benches. 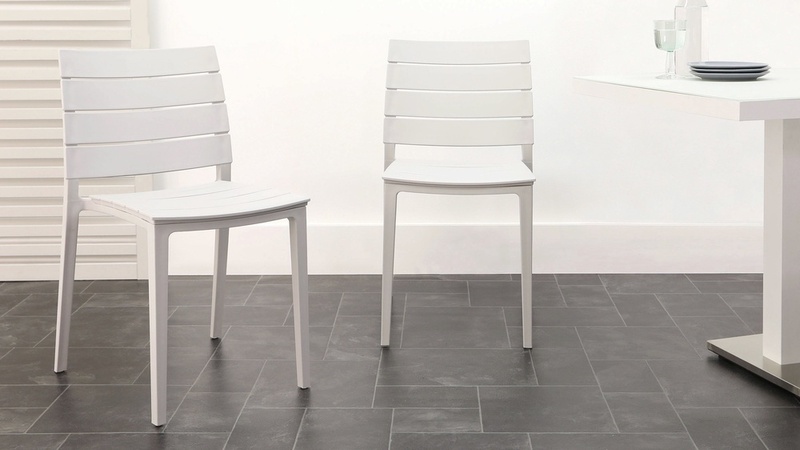 This is because the angle of the table legs provide more room than if they were positioned at the four corners. 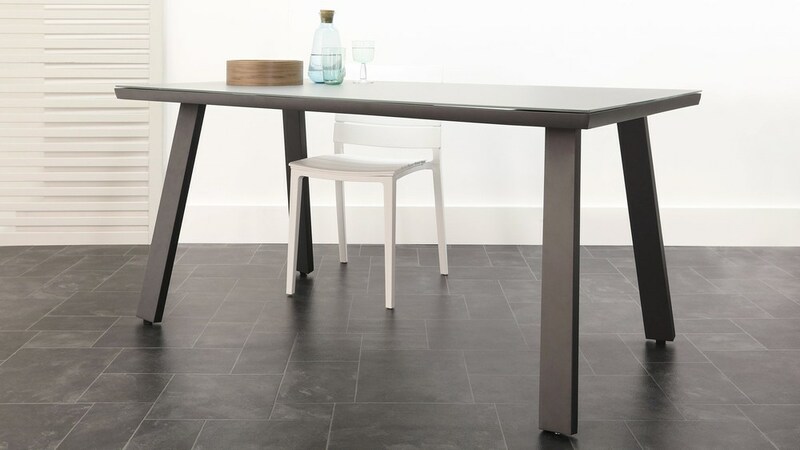 Designed to seat 6, this trestle-style table and the versatility of the Edie chairs gives you the option to fit a couple more around the table. 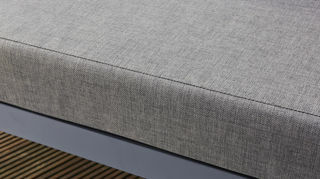 The seat cushions for the right-hand corner bench are constructed of a foam and fibre filling. 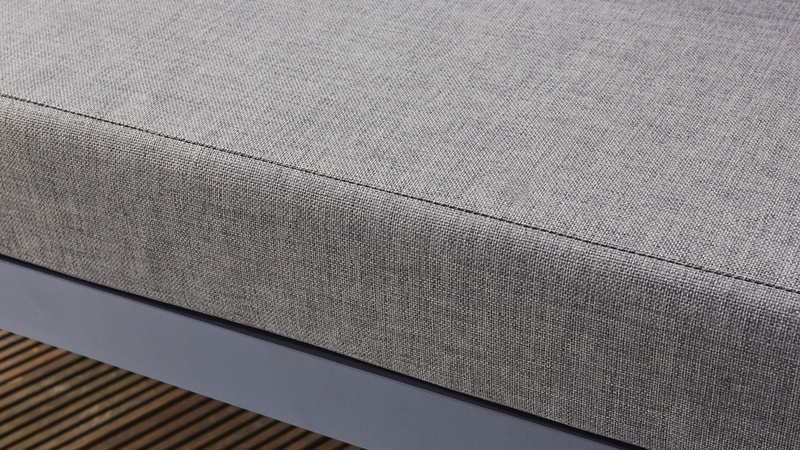 We've chosen the same foam density that we use for our interior seating but with an added layer of fibre to create a softly wrapped look The combination of the seat and seat back cushions give this corner bench a sofa-esque cosy feel with a level comfort you've expect to find indoors. 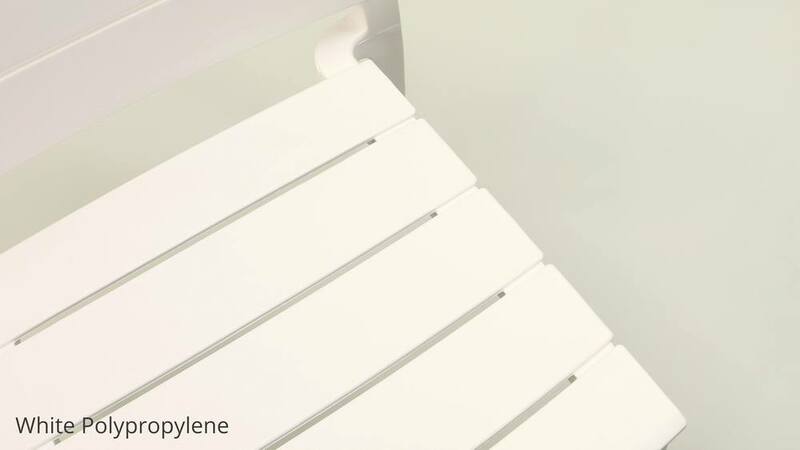 The showerproof coating on the melange fabric seat cushions means that light rain or moisture will not be absorbed into the material, so you won't have to take the cushions in every time there's a light shower. 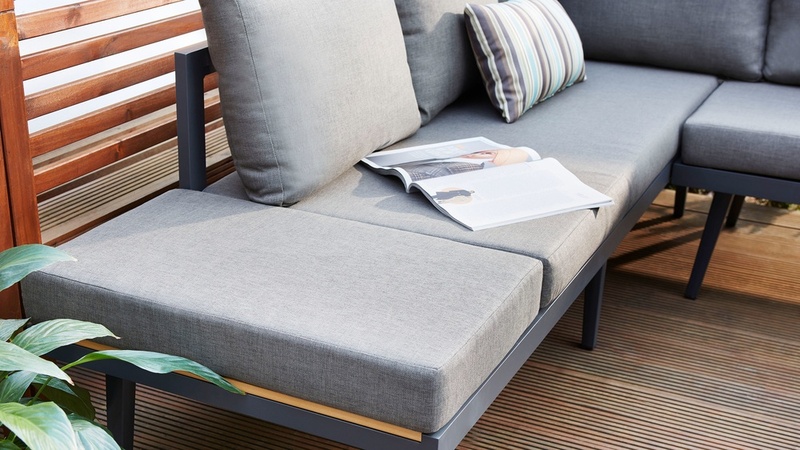 This also makes the cushions easy to clean and maintain as any spills will just roll off of the surface. 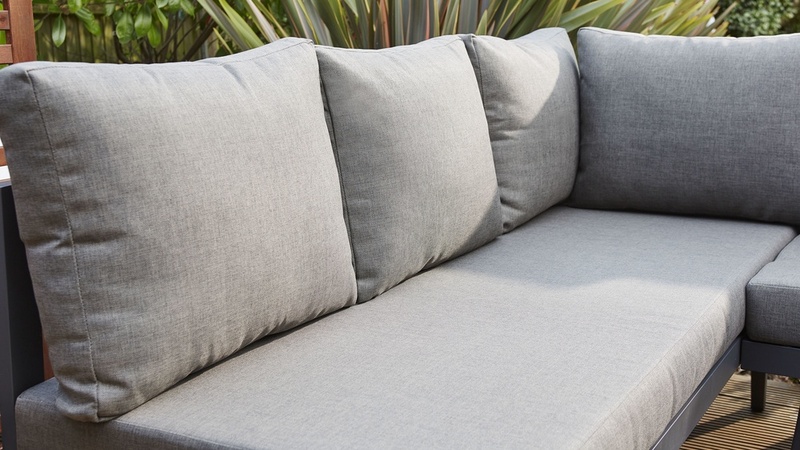 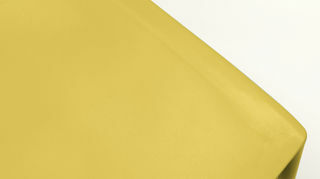 We've also added an anti UV coating on the cushion surface to help prevent the colour from fading in the sunlight. 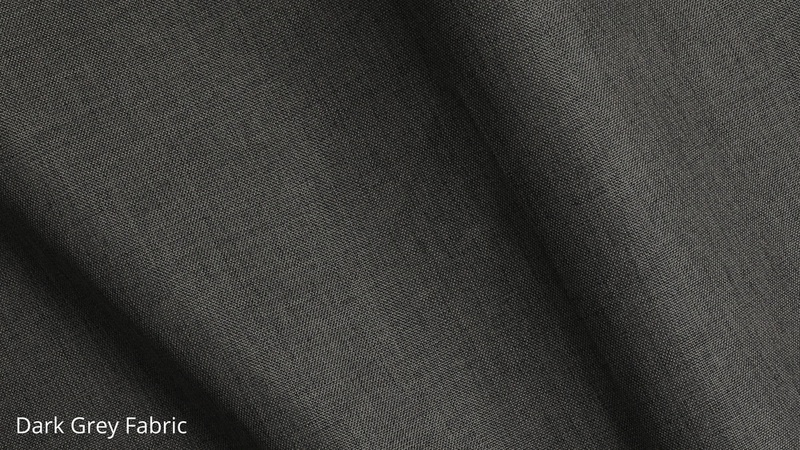 Most fabrics will fade slightly when exposed to direct sources of heat and light, however, this treatment slows this drastically. 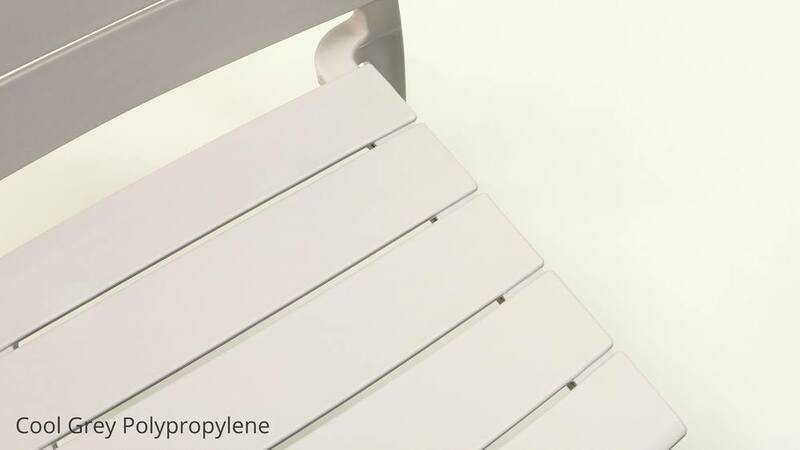 The anti UV coating really is a premium feature on this affordable product so you know you are investing in a quality and durable piece of garden furniture. 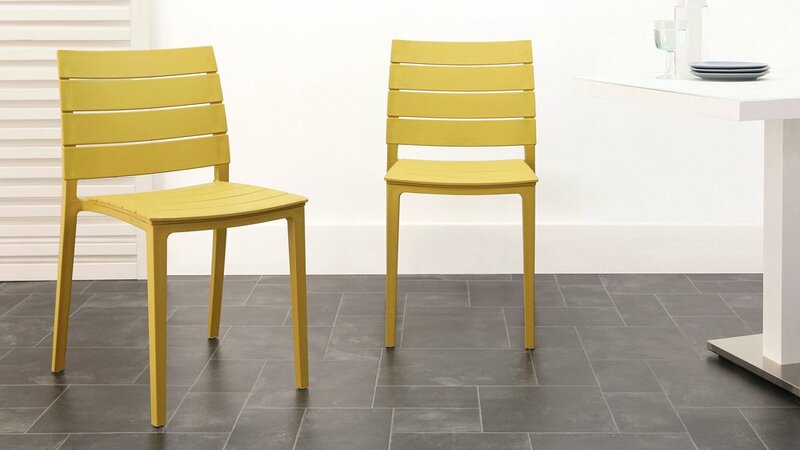 The polywood tables at either end of the corner bench have the look of real wood but won't warp or discolour in the sunlight. 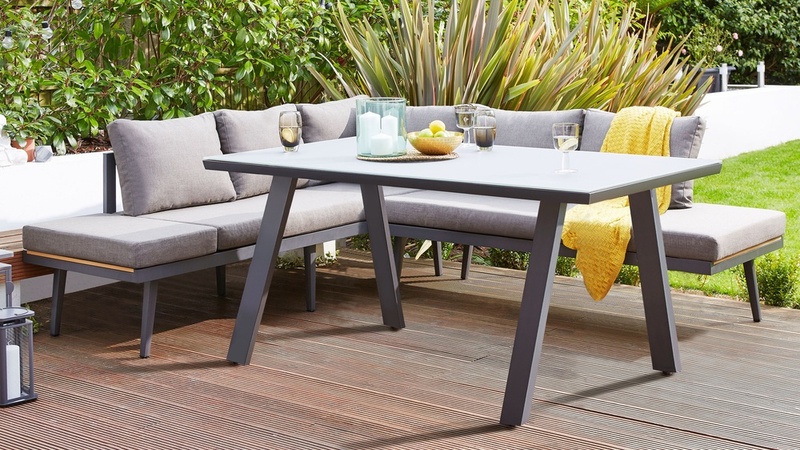 Two seat cushions can be added to the polywood frame to create an extra two spaces around the table. 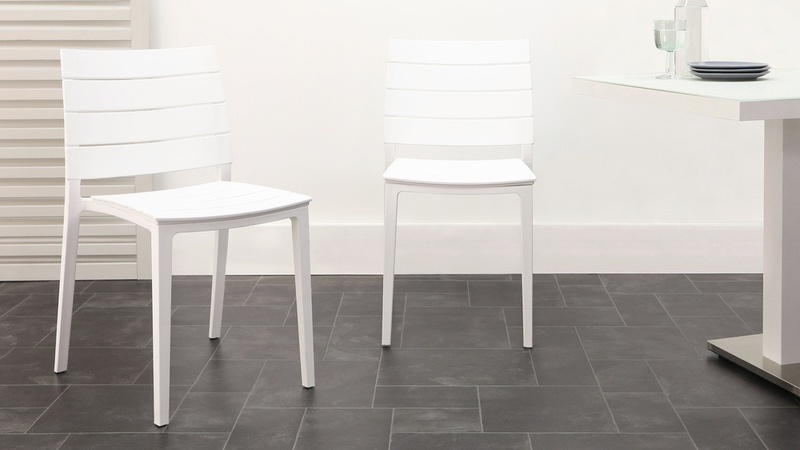 When removed, they can be used as a handy side table. 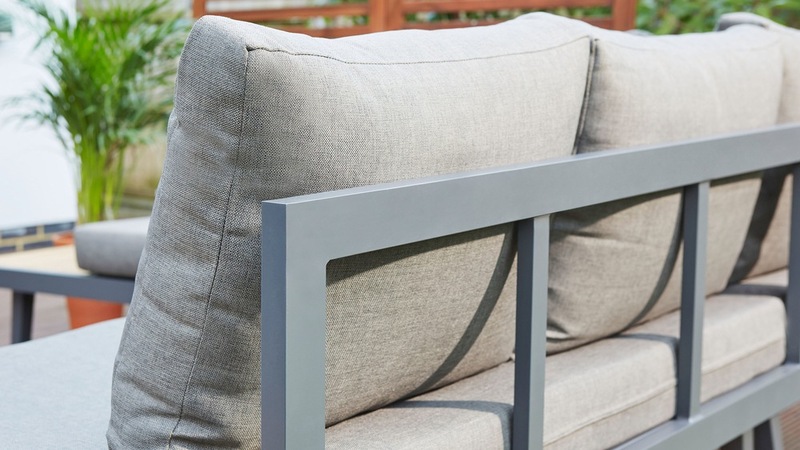 This modular feature makes this bench incredibly versatile and changeable to suit your seating needs. 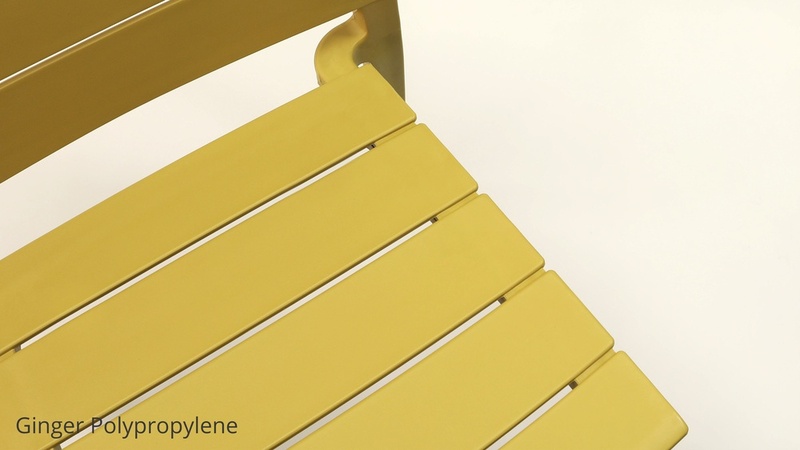 The frame of the Fresco garden table and Palermo bench is made from powder coated aluminium. 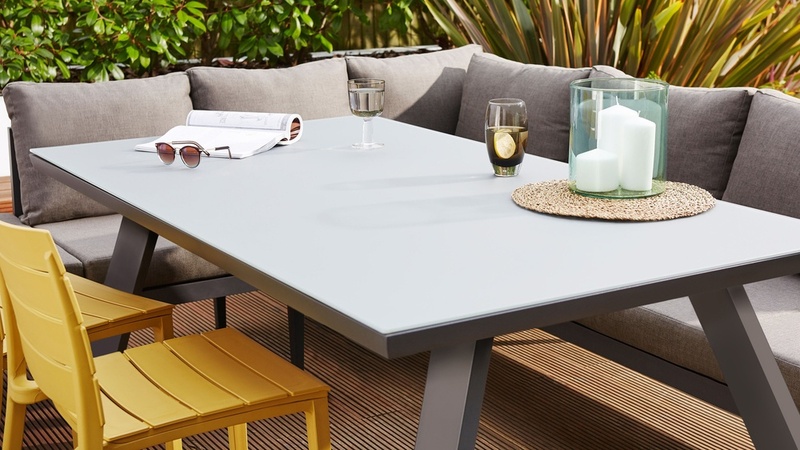 The material qualities of aluminium make it inherently anti-rust, while the grey powder coat creates an effortlessly modern and matt looking finish. 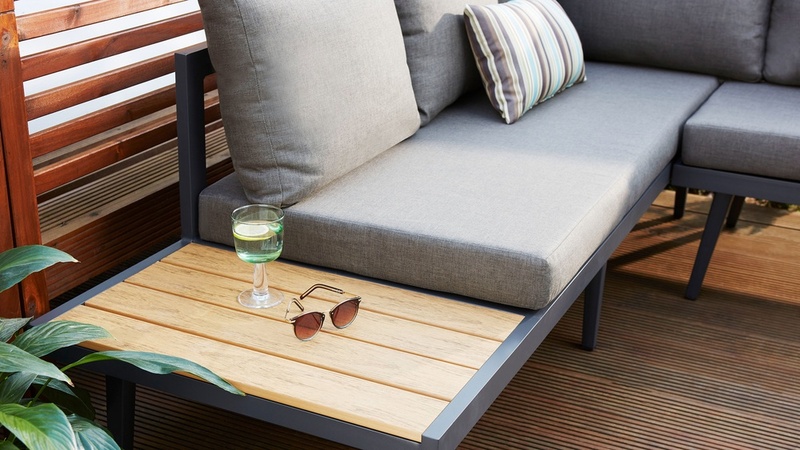 This means you needn't worry about your garden table or bench during those summer showers as they're both easy to clean and fit for outdoor use. 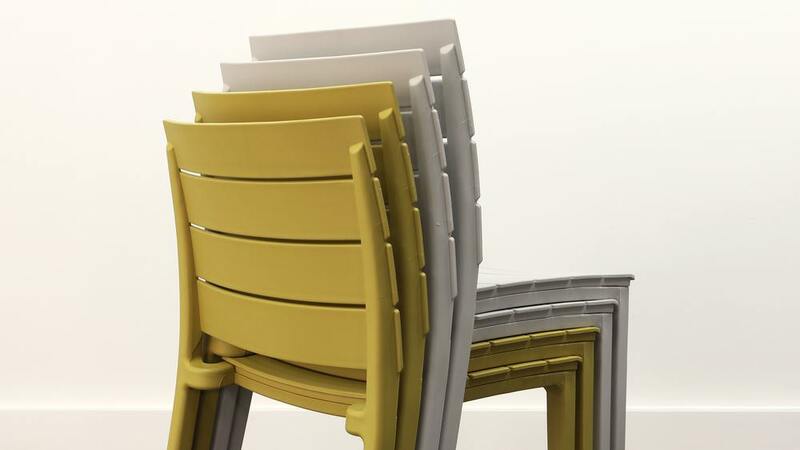 We've all experienced sitting at a table with that annoying wobble. 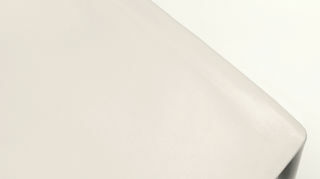 Thankfully, this won't be an issue with the Fresco! 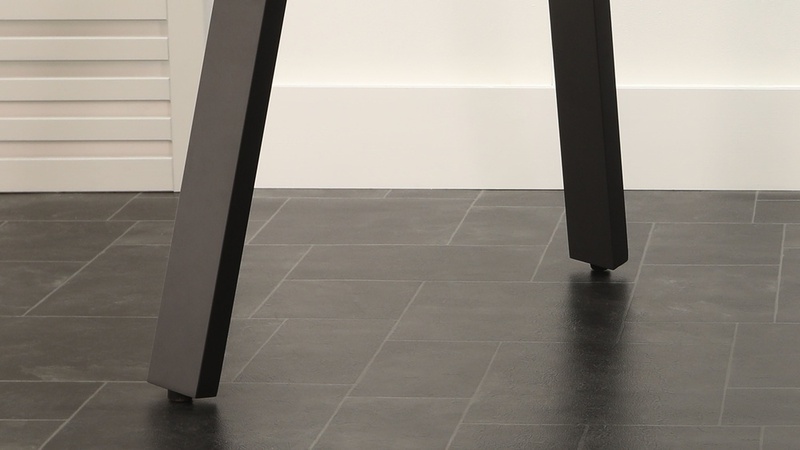 That's because the table and bench have adjustable floor protectors. 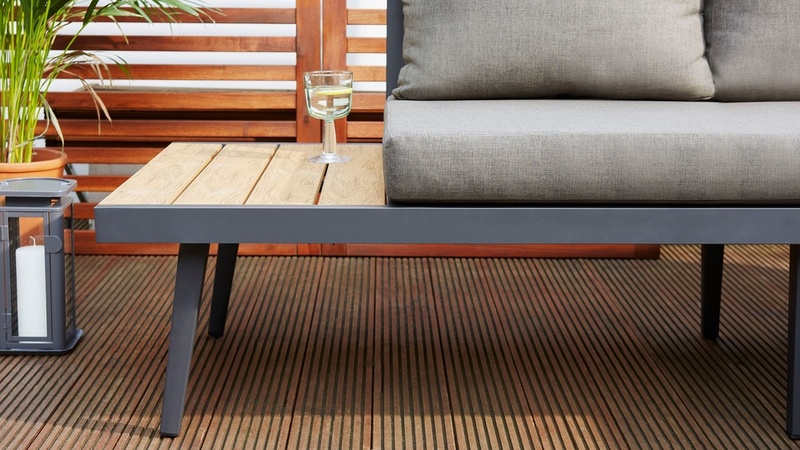 This will not only protect your patio or decking but means you can adjust the protectors to accommodate an uneven floor, which is often the case outdoors. 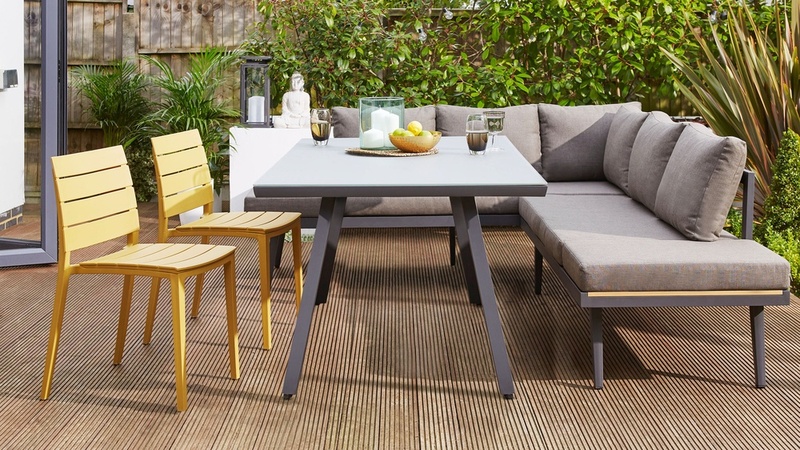 To find out more about each of the products in this set, you can also view the Fresco Grey 6 Seater Trestle Garden Table, Palermo Grey Right Hand Corner Outdoor Dining Bench and Edie Garden Chair separately.